Avada Includes All of the Google Fonts! Google fonts currently includes over 500 fonts. 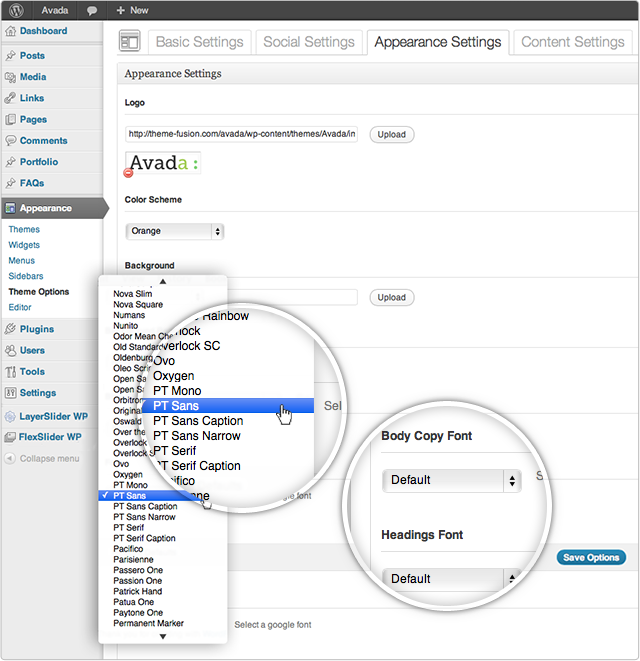 Avada includes a drop down field in the appearance settings that allows your to easily pick any of the 500+ Google fonts for all headings and body copy. Happy Font Hunting!